JVVNL Answer Key 2019: Technical Helper II Final Answer Key 2019 is available now for JVVNL Technical Helper-II Exam 2018. The exam was organized by Jaipur Vidyut Vitran Nigam Ltd. (JVVNL), Rajasthan Govt. .
JVVNL Technical Helper-II Final Answer Key 2019: Jaipur Vidyut Vitran Nigam Ltd. (JVVNL), Rajasthan Govt. has issued the Answer Key on 28 Feb 2019 for JVVNL Technical Helper-II Exam 2018 Answer Key can be accessed from the link given below. 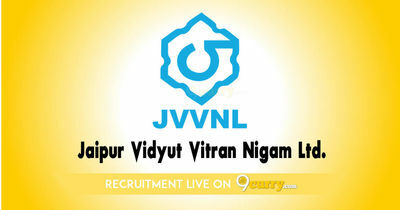 JVVNL Helper II 2018 Final Answer Key 2019: Jaipur Vidyut Vitran Nigam Ltd. (JVVNL), Rajasthan Govt. has issued the Answer Key on 20 Feb 2019 for JVVNL Helper II Final Exam 2018. Answer Key can be accessed from the link given below. JVVNL Technical Helper II Answer Key 2018: Jaipur Vidyut Vitran Nigam Ltd. (JVVNL), Rajasthan Govt. has issued the Answer Key on 18 Jan 2019 for JVVNL Technical Helper II Exam 2018. Answer Key can be accessed from the link given below.